Business-casual sounds interesting. It is a dress code that has been doing well in the circuit for the last few years as result of the changing trends and preferences of the customers. 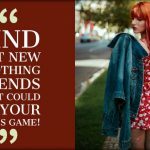 The trend that started as a backyard clothing passion, turned into a frenzy, roping in all those fashionable men out there. This was the perfect opportunity for them to stand out, add more dimensions to their personal style statement. Since the code combines two extreme clothing styles, the middle part can be quite difficult to achieve. But with the following tricks and hacks, you should become wise enough to make the right choices. Keep reading to make the necessary adjustments to your outfits for gorging on all the attention from your colleagues. This is the first thing that every man pulling business-casual attire should remember. You have to work out with what you have and not make any extra additions. A blazer is less than a formal suit but more than a jumper. A pair of trousers has casual vibes about it but somewhat radiates the conventionalism as well. Thus, instead of going full front on the formal attire, mix and match your casual and formal to stand out in the workplace. A rigid tailored suit can do no good to you or your personal style. 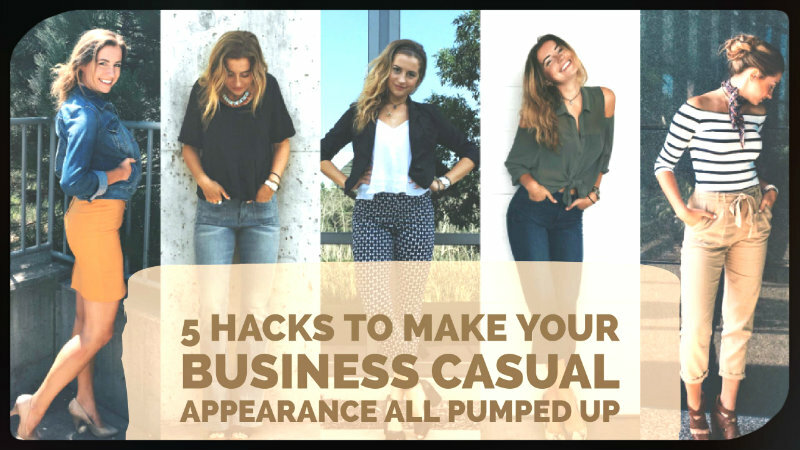 You have to understand that in order to pull off the business-casual, you need to balance the business and the casual. The key is to keep your ensemble simple and well-focused. Like in the previous tip, mix and match. A soft collared shirt is better than a stiff Oxford shirt. A t-shirt might be too unpremeditated, thus, falling right between the two categories is the polo shirt. A Chamberlain shirt can also be a nice pick. This will be the perfect dressing down while making the perfect impact on the onlookers. Wide-legged to slim fitted, there are a number of variations available for chinos. Meeting at the equilibrium where the consequent lines of comfort and fashion meet, chinos are the most harmonious piece of clothing you will get with the manufacturers of wholesale boutique clothing. And the best part, they look great with all the above-mentioned renditions of shirts and polo. You can opt for a shade that complements the hue of your shirt to look complete. Sleeker, shinier and smarter versions of footwear are all you need to stand out. Brogues are a tough contender for the entire smart-casual criteria, which is followed by white trainers. Keep the shade of your shoe basic like tan, brown or black to play the game safe. It is always nifty to pick shoes that will go with your ensemble without putting down your total ensemble. Minimal embellishments on the shoe are what is you should be looking for. Jeans and chinos have played the smart-casual game for way too long. Now that the athleisure is a full-fledged thing, throw in a jogger here and there but only when you are absolutely sure about the outfit. It is more about your attitude than the sartorial combination. Choose in dark colors to avoid looking like you are wearing pajamas. Blue and black are the sophisticated rendition of the joggers you can opt for. Balance out formal and informal and you are golden. Thus, it can be safely assumed the business-casual is about not being business neither being casual. It is about finding the middle path. Wholesale clothing manufacturers have the above-mentioned clothes displayed in their inventory that can be bulk purchased by the retailers at special offers. So make your workplace interesting, at least sartorial wise, with the best clothes.